Nandemo Dekiru! Nandemo Nareru! Furefure Watashi! Everyone's Angel! 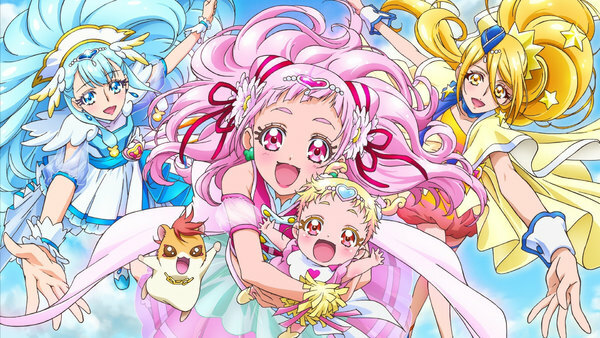 Hooray, Cure Ange! Happy? Cranky? Hugtan's Day Out! Dance Across the Sky! Hooray! Cure Etoile! Smiles in Full Bloom! Our First Job! Saaya's Doubts? What Do You Really Want to Do? Homare Is Leaving!? The Prince of Skating, Incoming! Over the Hill! Let's Go Hiking! Unbelievable! Being a Waitress Is Hard Work! The Precure I Want to Be! Sing! Melody Sword! Doki Doki! Pajama Party with Everyone!